The Frankowski Firm is continuing its investigation of now-expelled securities broker Jerry McCutchen. McCutchen has been the subject of a multitude of customer complaints since 2000, the vast majority of which were filed since 2012. These complaints contain various allegations of securities law violations, including unsuitable investment recommendations, negligence, and fraud, among other causes of action. Many of the claims pertain to the alleged sale of various illiquid, risky, and speculative investments, including equipment leasing funds and non-traded real estate investment trusts, as well as variable annuities. One of the issues with these products is that they are associated with high commissions for the brokers who sell them and a small chance of success for the purchasing customer. The costs and fees of these products make it so expensive that large returns on investment are practically impossible. Further, customers are not compensated for the risks relating to these investments. Jerry McCutchen began working in the securities industry in 1983. From 2003 to 2007 he was registered with NEXT Financial Group. He then left and was registered with Berthel Fisher & Company Financial Services, Inc. until 2014. In September 2016, McCutchen was barred from the securities industry by FINRA in relation to its investigation of allegations of unsuitable recommendations of alternative investments McCutchen made to customers. The number of complaints and regulatory actions against McCutchen is concerning as the number is high compared to industry standards. Only about twelve percent of advisors have any kind of disclosure at all on their records. The fact that McCutchen has so many is certainly eye-opening. 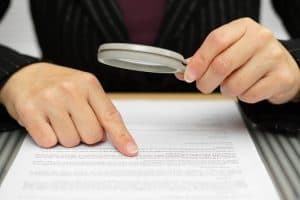 Have you suffered financial losses due to the misconduct of a broker? We can help you. The attorneys at The Frankowski Firm are dedicated to representing victims of securities broker fraud and negligence throughout the United States. To talk with one of our lawyers, please call us today at 888.741.7503 or fill out this contact form.